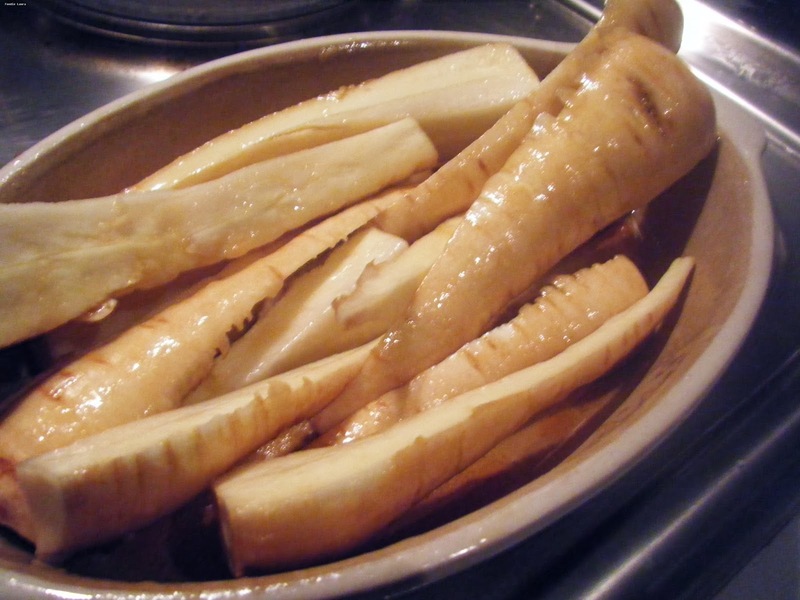 I really don't think we celebrate the brilliant British parsnip in the way that it deserves. They are so sweet at this time of year, the secret is waiting until a good frost or may be even a bit of snow has gotten to them. This simple side dish will jazz up any roast dinner and last night we had it with some pork chops, it's a really versatile recipe. 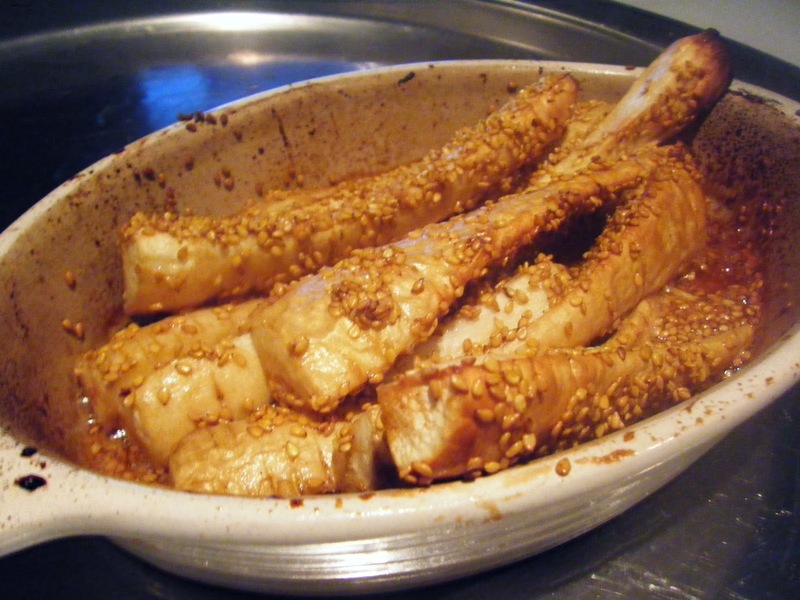 Cut the parsnips into quarters length ways. Grease a ceramic dish with the sesame oil. Place the parsnips in the dish and brush the maple syrup over the parsnips. Return to the oven for a further 10 minutes. I'd like to make a feature of simple side dishes like these. So do let me know if you give the recipe a go.